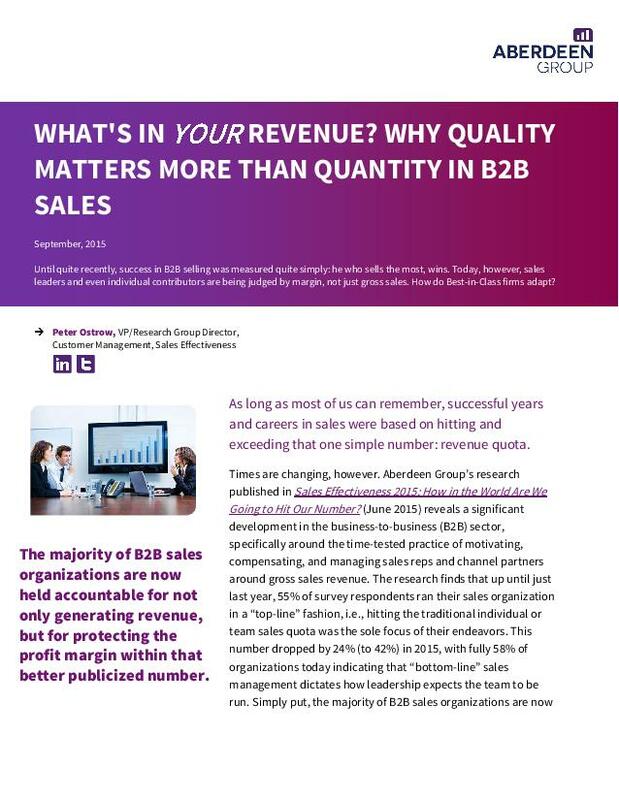 Until quite recently, success in B2B selling was measured quite simply: he who sells the most, wins. Today, however, sales leaders and even individual contributors are being judged by margin, not just gross sales. How do Best-in-Class firms adapt?